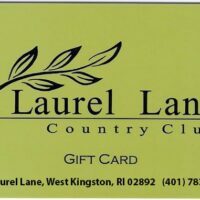 Laurel Lane Gift Cards are perfect for birthdays, holidays, graduations, to say thank you, or just because! Use them on memberships, golf games, apparel, lessons, food and drinks. We are sorry, gift cards cannot be used to purchase alcohol.